The physical effects of crystal meth are just as dramatic and damaging as the psychological effects this highly addictive drug can create. At the least, this drug can make the user feel energized and anxious. In the worst case scenario, users die from heart failure as a result of using crystal meth. The physical effect of a user's first dose of crystal meth often results in increased heart rate and respiration. This makes the user feel more alert and may also cause feelings of elation, but this initial high is rarely experienced with future uses of the drug. Even though the euphoric feelings associated with an initial hit of crystal meth oftentimes do not return fully, the detrimental physical effects of this drug increase exponentially with each use. The brain can suffer greatly as a result of crystal meth usage. In addition to other physical problems this drug can inflict on the brain, the blood vessels can become damaged and will never return to their original efficiency, even after the drug usage stops. The brain is merely one of the parts of the body that can be extensively damaged as a result of crystal meth use. The damage done to these organs is often irreversible and can lead to long term medical complications. One of the most notable physical effects of crystal meth is the toll this drug can take on a person's appearance. Long term users can often be recognized by first glance due to their sullen eyes, sores and scratch marks, decayed teeth and other outward signs of crystal meth use. People who habitually use crystal meth oftentimes do not get the rest their body needs, and this is oftentimes evident in a user's haggard physical appearance. Many of the physical effects of crystal meth are irreversible. 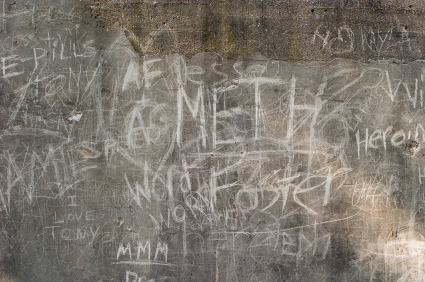 If you think a loved one may be using crystal meth, learn to spot the signs of meth use.